There are some interesting parallels between the careers of Franz Waxman, Dimitri Tiomkin and Max Steiner. They were all born and received their musical education far removed from the influence of Hollywood, in the case of Waxman (originally spelled "Wachsmann") this was in Germany, and all three started their Hollywood careers in the 1930s, between them sewing up many of the big films produced over the next two decades. Before leaving Germany one of Waxman's first Hollywood jobs was to orchestrate and conduct Frederick Hollander's score for "The Blue Angel" starring Marlene Dietrich. He moved to Paris first to escape the Nazis before settling in America. For more information and an interesting perspective on the composer, see the Franz Waxman overview written by historian Jeffrey Dane. Waxman's early career included the horror movies "The Bride of Frankenstein" and "Dr. Jekyll and Mr. Hyde", and acting as musical director to the Marx Brothers' vehicle "A Day at the Races". He really consolidated his reputation with the hugely successful "Rebecca", and like Tiomkin he went on to score more Hitchcock films including "Rear Window" and "Suspicion". He proved his versatility with a wide range of genres including war movies, romances and historical epics. As a good example of his style, "Rebecca" is deeply romantic but often leaning towards the impressionist movement with its characteristically busy woodwind section. 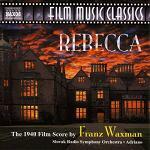 In "Humoresque" Waxman adapted music from Richard Wagner's Tristan and Isolde for violin and orchestra. The story concerns a violinist played by John Garfield, though Isaac Stern provided the playing. 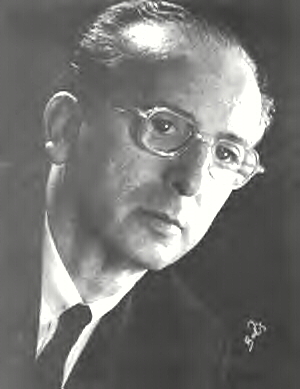 Franz Waxman had a strong interest in the work of contemporary Russian composers. He had earlier founded the Los Angeles Music Festival in 1947, and some years later in the spirit of a cultural exchange in 1961 he invited several Russian composers including Dmitri Shostakovich and Dmitry Kabalevsky to take part in an International Composers Conference as part of the festival. The following year Waxman was invited to the USSR where he met several eminent Russian musicians and conducted Soviet orchestras in concert in Moscow, Leningrad (St. Petersburg) and Kiev. 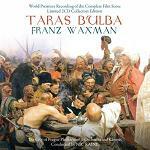 With this interest in Russian music, Waxman was a good choice of composer for the film "Taras Bulba" (released that same year in 1962) based on a novel about a Cossack leader. The film starred Yul Brynner in the title role, yet for various reasons the movie flopped though the score is one of Waxman's best. The main theme often played as a concert piece is the Cossack March and there are many subsidiary themes and track styles. 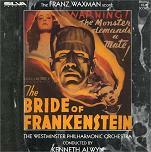 Clearly Waxman had absorbed many elements of the style of composers such as Shostakovich, Prokofiev and Katchaturian. Waxman's music is almost entirely original, though in a few places he quotes Kalinka the well-known Russian/Ukrainian Folk Song. The whole score has now been recorded by Tadlow in a special 2 CD edition, with a number of tracks not used in the film. It is highly recommended and available at Amazon.co.uk. Waxman received many oscar nominations over the course of his career in film music, winning the main award in two successive years for "Sunset Boulevard" in 1950 and "A Place in the Sun" in 1951. There is an interesting story that when Alfred Newman wasn't nominated for an Oscar for his score to "The Robe", Waxman resigned from the Academy (AMPAS) and insisted that his on screen credit for "Demetrius and the Gladiators" stated that it was based on Newman's score for "The Robe". Demetrius and the Gladiators - incorporating music from Alfred Newman's "The Robe"
Franz Waxman didn't write a huge amount of music for TV, but his "Peyton Place" film theme was used on the TV Series spin-off, and he wrote occasional episodes from series in the 60s. In addition to Franz Waxman's themes appearing on many compilation CDs, the following soundtrack albums are available and there is a Franz Waxman web-site at www.FranzWaxman.com.